With the development of Internet technology,malicious programs have risen explosively.In the face of executable files without source,the current mainstream malware detection uses feature detection based on similarity,with lack of analysis of malicious sources.To resolve this status,the definition of program gene was raised,a generic method of extracting program gene was designed,and a malicious program prediction method was proposed based on program gene.Utilizing machine learning and deep-learning algorithms,the forecasting system has good prediction ability,with the accuracy rate of 99.3% in the deep-learning model,which validates the role of program gene theory in the field of malicious program analysis. Da XIAO,Bohan LIU,Baojiang CUI,Xiaochen WANG,Suoxing ZHANG. Malware prediction technique based on program gene[J]. Chinese Journal of Netword and Information Security, 2018, 4(8): 21-30. 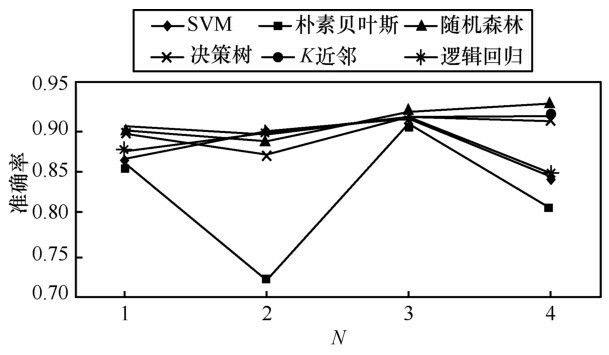 LIU K , ZHENG T , WEI L . A software birthmark based on system call and program data dependence[C]// Web Information System and Application Conference. IEEE, 2015: 105-110. 韩金, 单征, 赵炳麟 ,等. 基于软件基因的 Android 恶意软件检测与分类[J]. 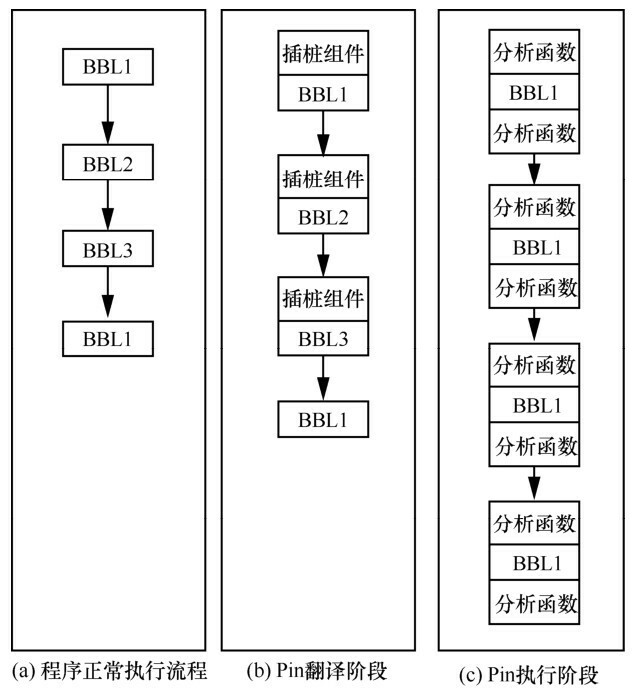 计算机应用研究, 2019(6). HAN J , SHAN Z , ZHAO B L ,et al. Detection and classification of Android malware based on malware gene[J]. Application Research of Computers, 2019(6). 赵晶玲, 陈石磊, 曹梦晨 ,等. 基于离线汇编指令流分析的恶意程序算法识别技术[J]. 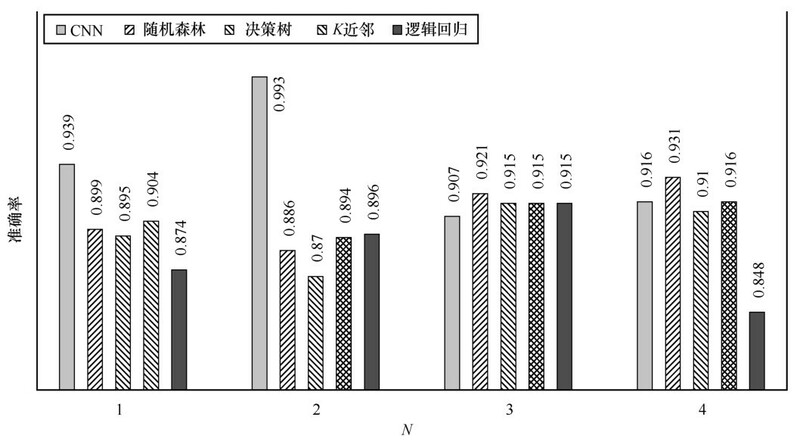 清华大学学报(自然科学版), 2016(5): 484-492. ZHAO J L , CHEN S L , CAO M C ,et al. Malware algorithm recognition based on offline instruction-flow analyse[J]. Journal of Tsinghua University(Science and Technology), 2016(5): 484-492. 陈晨 . 基于操作码行为深度学习的恶意代码检测方法[D]. 黑龙江:哈尔滨工业大学, 2013. CHEN C . Malicious code detection based on opcode behavior deep learning[D]. Heilongjiang:Harbin Institute of Technology, 2013. BERRAR D , DUBITZKY W . Information gain[M]. Springer New York, 2013. 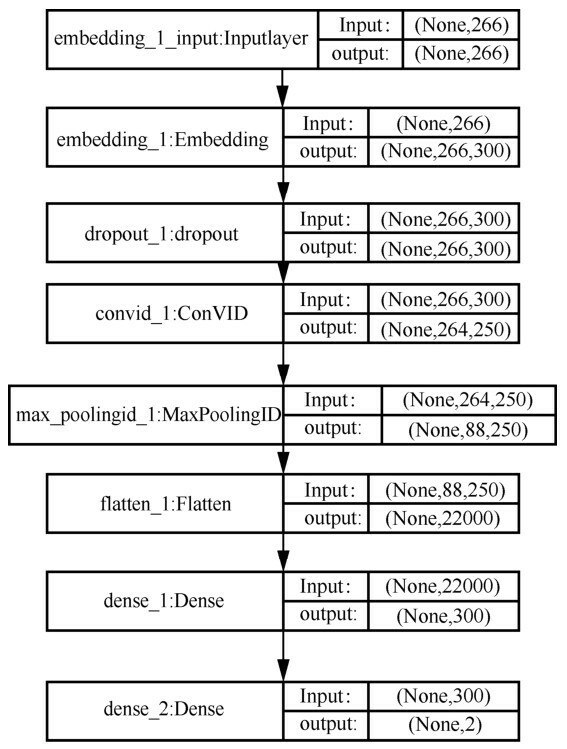 RONG X . Word2vec parameter learning explained[J]. Computer Science, 2014. MIKOLOV T , CHEN K , CORRADO G ,et al. 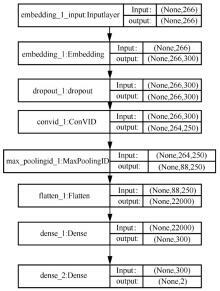 Efficient estimation of word representations in vector space[J]. Computer Science, 2013. MIKOLOV T , SUTSKEVER I , CHEN K ,et al. Distributed Representations of Words and Phrases and their Compositionality[J].NIPS'13 Proceedings of the 26th International Conference on Neural Information Processing Systems, 2013. 3111-3119. 周志华 . 机器学习:= Machine learning[M]. 北京: 清华大学出版社, 2016. ZHOU Z H . Machine learning[M]. Beijing: Tsinghua University PressPress, 2016. CHUA L O , ROSKA T . CNN paradigm[J]. IEEE Transactions on Circuits ＆ Systems I Fundamental Theory ＆ Applications, 1993,40(3): 147-156. 2017 Internet security report[EB/OL]. .
 阮斌 . 《2017年中国网络安全报告》发布[J]. 计算机与网络, 2018(5). RUAN B . 2017 China cyber security report released[J]. Computer＆ Network, 2018(5). SANTOS I , BREZO F , NIEVES J ,et al. Idea:opcode- sequence-based malware detection[C]// International Conference on Engineering Secure Software and Systems. Springer-Verlag, 2010: 35-43. 孙博文, 黄炎裔, 温俏琨 ,等. 基于静态多特征融合的恶意软件分类方法[J]. 网络与信息安全学报, 2017,3(11): 68-76. SUN B W , HUANG Y Y , WEN Q K ,et al. Malware classification method based on static multiple-feature fusion[J]. Chinese Journal of Network and Information Security, 2017,3(11): 68-76. 白金荣, 王俊峰, 赵宗渠 . 基于 PE 静态结构特征的恶意软件检测方法[J]. 计算机科学, 2013,40(01): 122-126. 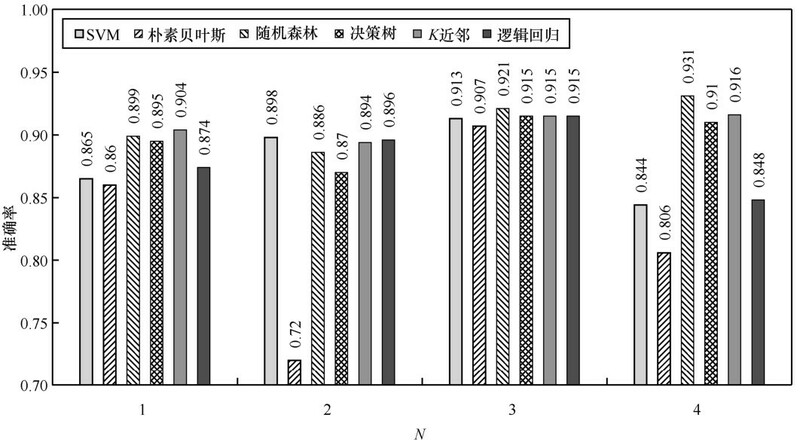 BAI J R , WANG J F , ZHAO Z Q . Malware detection approach based on structural feature of PE file[J]. Computer Science, 2013,40(01): 122-126. Pin-a dynamic binary instrumentation tool[EB/OL]. .
 曹梦晨 . 基于沙箱指令流快照的恶意程序智能识别技术研究[D]. 北京邮电大学, 2017. CAO M C , . 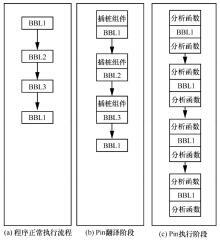 Research on malware intelligent recognition technology based on sandbox instruction flow snapshot[D]// Beijing University of Posts and Telecommunications, 2017. LI H J , TIEN C W , TIEN C W ,et al. AOS:An optimized sandbox method used in behavior-based malware detection[C]// International Conference on Machine Learning and Cybernetics. IEEE, 2011: 404-409. FIRDAUSI I , LIM C , ERWIN A ,et al. Analysis of machine learning techniques used in behavior-based malware detection[C]// Second International Conference on Advances in Computing,Control and Telecommunication Technologies. 2010: 201-203. CHAN P P F , HUI L C K , YIU S M . Dynamic software birthmark for java based on heap memory analysis[M]// Communications and Multimedia Security. Springer Berlin Heidelberg, 2011: 94-107. 赵 方,马 严,罗海勇,林 权. 基于顽健估计的室内节点定位算法[J]. 通信学报, 2008, 29(11): 15 -120 . 刘林峰,刘业. 基于满Steiner树问题的水下无线传感器网络拓扑愈合算法研究[J]. 通信学报, 2010, 0(9): 9 -37 . 党军宏,晏 坚,曹志刚. 基于OFDM星载交换的星地上行链路跨层设计算法[J]. 通信学报, 2010, 0(9): 7 -117 . 周　航,阮秋琦. 基于ROI分割和相干映射的裸手字母手势识别[J]. 通信学报, 2007, 28(5): 15 . 张 霞，马连川，曹 源，张玉琢. CTCS-3级GSM-R车地通信数据丢失概率及其影响的研究[J]. 通信学报, 2014, 35(12): 24 -209 . 宋晓勤,胡爱群,李 克,薛 强. 用于多小区联合检测的高精度信道估计算法[J]. 通信学报, 2008, 29(2): 1 -7 . 李 子,蔡跃明. 基于±1二次规划的低复杂度球形解码算法[J]. 通信学报, 2007, 28(11): 3 -20 . 熊静,李蕊,李洁. 电信运营商创新型Telematics应用及技术趋势探讨[J]. 电信科学, 2010, 26(4): 33 -39 . 陈荆花,王洁. 浅析手机二维码在物联网中的应用及发展[J]. 电信科学, 2010, 26(4): 39 -43 . 郭建华,彭庆华,王辉. 基于SID的IP承载网资源信息模型研究[J]. 电信科学, 2010, 26(4): 71 -75 .